To say that the FCC's proposed new net neutrality rules are off to a rocky start would be an understatement. The leak of the news late Wednesday afternoon that the Federal Communications Commissions planned new net neutrality rules led to a flurry of late-night backgrounders, clarifications and even a testy statement from the chairman Tom Wheeler that some reports had it all wrong. Without details on the specifics of what the FCC was proposing, many news reports accused the FCC of abandoning the open Internet and creating "fast lanes" for deep-pocket content providers. Consumer groups pounced. "There are reports that the FCC is gutting the open Internet rule. They are flat out wrong," said Wheeler in a late night emailed statement. "Tomorrow [Thursday] we will circulate to the commission a new open Internet proposal that will restore the concepts of net neutrality consistent with the court's ruling in January. There is no 'turnaround in policy.' The same rules will apply to all Internet content. As with the original open Internet rules, and consistent with the court's decision, behavior that harms consumers or competition will not be permitted," Wheeler said. To try to blunt the bad press resulting from the botched release of its plans through a leak to the Wall Street Journal, the FCC scheduled a press call for Thursday morning. It also put a 3 p.m. embargo on the resulting news reports to give the other commissioners a chance to read the chairman's proposal. Ahead of the press call, the FCC released a few talking points rich in bureaucratic jargon outlining the chairman's proposed approach to new net neutrality rules. The FCC said its rules would not apply to deals to deals like Comcast/Netflix, and any other flow of Internet traffic between peering networks. It's clear the FCC is separating what ISPs will provide to consumers from the business arrangements that networks and content providers strike with each other. The same rule will not be applied to both parts of the Internet. Under the FCC's proposal, networks and content providers can do business on a case-by-case business, though under the watchful eye of the FCC that will be looking for "commercial reasonableness" which is sure to be about as murky as the FCC's current "public interest" standard. Here's how FCC says it will define "commercially reasonable practices:"
"(1) A baseline rule prohibiting broadband providers from engaging in 'commercially unreasonable' practices in transmitting traffic to and from end users and edge providers, (2) a set of factors the Commission would consider in determining whether or not a practice is commercially reasonable, and (3) a process for case-by-case adjudication and informal resolution of disputes. " The rules will also, as reported below, seek to reinstate the 2010 "no blocking" rule and strengthen the FCC's current ISP disclosure rules. Netflix's Reed Hastings may hate his preferential Internet connection deal with Comcast, but the Federal Communications Commission is planning to make such deals standard operating procedure for all content providers. On Thursday, FCC chairman Tom Wheeler is set to circulate to the other four commissioners a proposal for new net neutrality rules, which will be voted on at the commission's next meeting on May 15. The chairman's action follows three months after the U.S. Court of Appeals for the District of Columbia struck down the legal basis for the commission's rules that prohibited Internet service providers from slowing down or blocking any legal content, but affirmed the FCC's authority to regulate the Internet. "The notice for proposed rulemaking will propose, consistent with the court's analysis, that broadband providers would be required to offer a baseline level of service to their subscribers, along with the ability to enter into individual negotiations with content providers," an FCC spokesman said in a statement, confirming the FCC's action. The new rules will read a lot like the old rules, prohibiting ISP's from blocking legal content, but backed by a better legal rationale, per the court's opinion. The FCC proposal will also allow ISPs to negotiate arrangements to give some traffic preferential treatment at "commercially reasonable" terms subject to the FCC's review on a case-by-case basis, a provision that is bound to be criticized by Netflix and other consumer groups that have called for the FCC to reclassify the Internet like a phone service or other public utility, which would impose more regulation on the Internet. 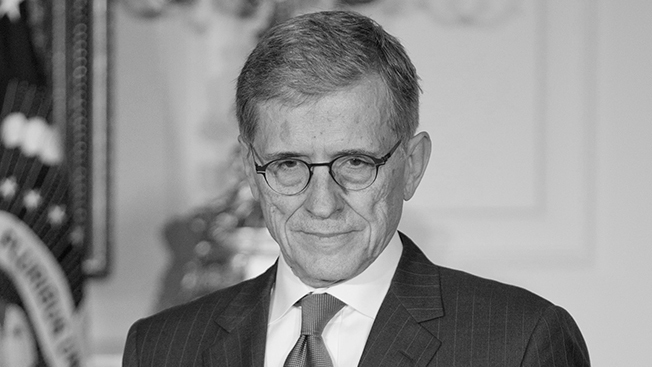 Wheeler is also likely to propose to tighten the FCC's transparency rule for ISP providers. In a February blog post where he laid out his framework for what net neutrality rules he might propose, Wheeler stressed the importance of the agency to "enforce and enhance" requirements that network operators disclose how they manage Internet traffic. "We should consider ways to make that rule even more effective," Wheeler wrote in his blog. Even before it's been circulated, Wheeler's proposal is catching flak. "The FCC is inviting ISPs to pick winners and losers online," said Michael Weinberg, a vp with Public Knowledge. "The very essence of a 'commercial reasonableness' standard is discrimination. And the core of net neutrality is non discrimination. This is not net neutrality." Free Press also lashed out, calling the FCC proposal a proposal for a "payola Internet." "This is not net neutrality," said Craig Aaron, president and CEO of Free Press. "It's an insult to those who care about preserving the open Internet to pretend otherwise…. in a moment of political cowardice and extreme shortsightedness, it has chosen this convoluted path that won't protect Internet users," Aaron said.